NEW NEW NEW home in the heart of Warren. Convenient location close to Warren Village shopping center, Rt 22 & 78. HUGE PROPERTY! James Hardie exterior siding with cultured stone. Superior wall foundation! Anderson Windows. Grand foyer with oak staircase and rod iron spindles. Interior boasts crown molding, hardwood flooring, recessed lighting (hook ups for ceiling fans if desired) and solid doors. 5 ample bedrooms total with TWO master bedrooms both with ensuite. 3.5 baths total, Main master has soaking tub, walk in shower, quartz countertops and frameless glass. Tons of closet space. 2 car garage. In ground sprinklers. Premium appliance package. 2 zone HVAC, Fully finished basement with full bath. Potential for bonus finished rooms and space. 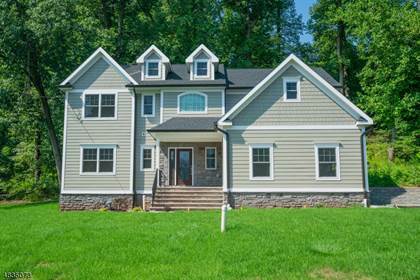 Browse all properties for sale in Upper Somerset, Warren Twp. Hi, I'd like to find out more information about 67 MOUNT BETHEL RD. Thanks so much!